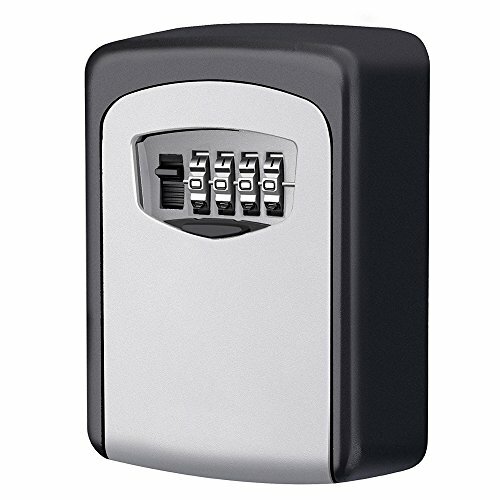 This 4-digit combination lock box is made of Aluminum alloy and heavy-duty steel, so it's very hard and durable. And waterprrof&anti-rust. 1.Please keep the key box closed for weather resistance. 2.It's NOT recommend to use combination such as "A-A--A", otherwise it might be easily cracked. 3. Please rotate the dials weekly to keep them work properly. 4. DO NOT forget your own password, or you have no way to get it back. Durable material: This key lock box is made of aluminum alloy and heavy-duty steel which is environmentally friendly paint and won't hurt to the body. It can protect the box from hammering, sawing or prying. Waterproof and anti-rust. If you have any questions about this product by MDROKUN, contact us by completing and submitting the form below. If you are looking for a specif part number, please include it with your message.